visits you within a 20 mile radius of Poole & Bournemouth. 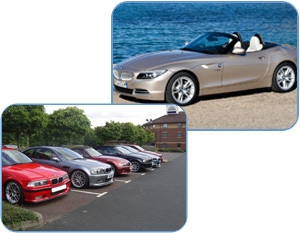 AutoGleam are independently owned and operated, offering unrivalled personal customer service and professional but affordable vehicle valeting and detailing packages throughout the area. Our Poole-based team travels as far as Weymouth, Wareham, Blandford, Christchurch and beyond - with the majority of the team's regular valeting clients based in Sandbanks & Canford Cliffs in Poole and Westbourne / WestCliff in Bournemouth. We offer you a stress free service, allowing you to get on with your normal day... Our smart, uniformed, friendly staff are fully-trained and highly professional and take personal pride in their work while acting with discretion and consideration. We specialise in and are experienced in valeting prestige and executive cars, with several ongoing contracts regularly maintaining fleets of executive cars for several companies in the Dorset area. We only use the highest quality, market-leading bio-degradable cleaning products to protect your vehicle, maintain nature's balance and bring you the best finish and polish possible... Each product is fully tested to British Standards and our staff, fleet of vans, equipment and cleaning products are fully-insured. We offer several car valeting services - from Regular to Premier Valeting - priding ourselves on a quality result at a competitive price. We also offer specialist Marine Valeting & Boat Cleaning services throughout Dorset & the New Forest. "Very impressive set-up and very professional results. I have no problem recommending Autogleam."